petition: Sanction the Ugandan Government to force them to stop torturing and murdering people. On 13 August 2018, there was a demonstration in Uganda against government corruption. The Ugandan dictatorship responded by murdering Mr Yasin Kawuma - a driver of one an opposition politician - Mr Robert Kyagulanyi. They continued to arrest people at the demonstration, including innocent younger children, elderly women and opposition politicians on trumped up charges. The victims have been brutally tortured, some of the women have been heavily kicked in the stomach and their internal organs are reported to be damaged. The UK Government, the UN and all global governments should condemn and penalise the Ugandan government for this. 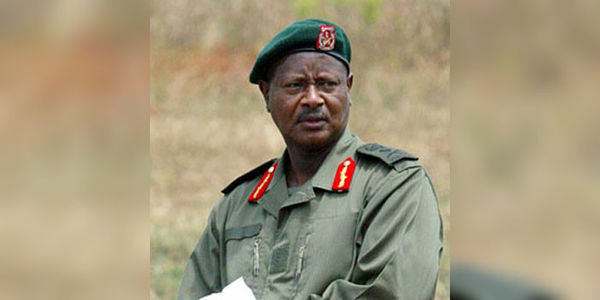 Countries should impose financial, travel and military sanctions on the Ugandan government. The international community has been vibrant on other violation of human rights by other countries, however they have been silent on Uganda. This can no longer happen. I Godfrey Kawalya appeal to the International community to impose financial, tourism, travel and military sanctions on the Ugandan government with immediate effect, in response to the killing, inhumane treatment, torture, unlawful detention and flaming of opposition politicians. Immediate and unconditional release of all political prisoners. Medical treatment and compensation for all torture victims. Rule of law is followed. Immediate end to killing, torture, flaming and illegal detention of innocent Ugandans. An end to life Presidency. An end to corruption and embezzlement of donor funds. For the past 32 years the International community has failed in its duty of care to protect the people of Uganda including LGBTI people against the ruthless, dictatorial, corrupt, murderous and torturous regime led by Yoweri Kaguta Museveni. The tyrant uses the state machinery against political opponents by planting evidence on them, using this to justify their arrests, torture and illegal detention. Many Ugandans have been murdered and incapacitated by the regime with no action from the International community.